Howdy mga idol, we’re back! Today, we’re having our video#11 which is about some sample CCNA exam questions about OSI model + OSI troubleshooting tips. 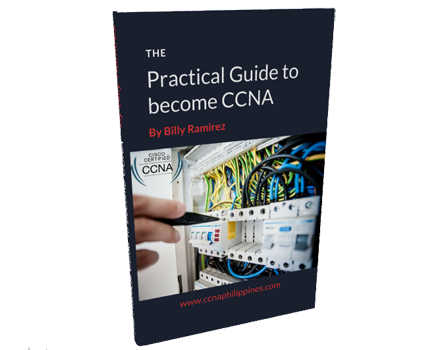 This will basically help you prepare yourself for the kind of questions you’ll get when you take the CCNA exam. Kumuha lang ako ng mga random exam questions sa internet then ini-explain natin with some sample para mas maging madali sa mga kagaya mong aspiring CCNA. I also included some OSI related troubleshooting steps na pwede mong magamit in exam or even in real world kapag network engineer ka na. I hope this video will help you like the other ccna videos we have on this blog. Okay, without further ado, let’s keep it rolling. Here it is. Again for feedback or suggestions, comment or email niyo lang ako mga idol. Thanks again. Good day Sir Ramirez! I am very interested about CCNA, As a Computer Science student I want to gain more knowledge. Available po ba ang CCNA exam through online? just asking po. thanks in advance for your response. Hi Nica, thanks for dropping by. CCNA exams can only be taken on Cisco accredited exam centers. This CCNA FAQs may help. THanks! good afternoon po ako isang student b.s i.t after ko po sana mag graduate sa i.t gusto ko sna kumuha ng certificate po sana CCNA magknao po sa ang enrol or mag eexam lang po ako. Kindly read the FAQ here idol. Salamat!